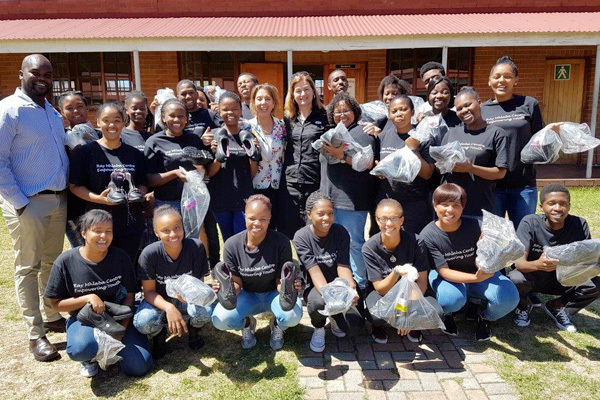 BBF Safety Group is proud to have recently donated footwear to the students at Ray Mhlaba Skills Centre in Port Elizabeth. Ladies were provided with products from the Sisi Safety Footwear range, while Bova products were donated to the men. The Ray Mhlaba Skills Training Centre, an extension program of the EP Child & Youth Care Centre, offers skills training to vulnerable, underprivileged and displaced youth between the ages of 18-25. This includes those who come from children’s homes, have lost one or both parents, live in households with no formal income and/or come from child-headed households. The aim is to empower these young adults through skills and social development programs, thereby equipping them with the knowledge and ability to obtain formal employment or become entrepreneurs. On completion of the training, the centre also assists the youth with finding employment. A variety of SETA Accredited and Entrepreneurial Training Programs are offered to students, including Hospitality Studies, Bakery, Woodwork & Upholstery, Hairdressing, Early Childhood Development, Needlework & Crafts and HIV/AIDS & Palliative Care. In addition to these, all students are enrolled in a Personal Development Program. The centre is solely reliant on the support and generosity of corporate and private donors to continue their successful operation. “This is a huge cost saver, as the shoes form a vital part of the required safety standards uniform for our Hospitality Training Program students completing their NQF Level 4 in Professional Cookery qualification. We thank you again for making it possible for our students to have a complete professional workplace uniform, which will not only allow them to train professionally but prepare them for formal employment within the Hospitality Industry”, said Caroline Ferreira, the centre’s Project Director. To date, in its 12th year of operation, the centre has successfully trained 1185 students across its vocational training programs, 82% of whom have gained formal employment or are earning a reliable income as entrepreneurs. “It brings us great pleasure to support the Ray Mhlaba Skills Centre in continuing their incredible work”, said Vanessa Ronald, BBF Senior Brand Manager. 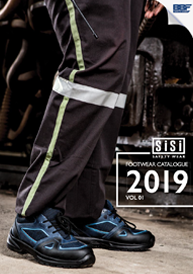 Sisi and Bova are two of the eight market-leading brands within the BBF Safety Group stable. 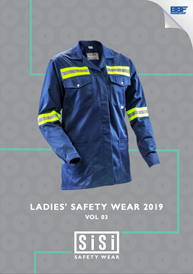 BBF Safety Group is the largest manufacturer of safety footwear in Africa, operating out of four manufacturing plants in South Africa. For more information, visit www.bbfsafety.com.